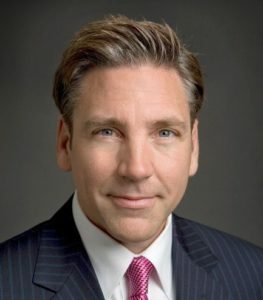 Lemoyne, PA (June 8, 2018) — Tom Posavec, Senior Vice President of Landmark Commercial Realty Inc.’s Office Services Group, has been selected by CoStar Group, Inc. (NASDAQ: CSGP), the leading provider of commercial real estate information, analytics and online marketplaces, to receive a CoStar Power Broker™ Award. This annual award recognizes the commercial real estate brokerage firms and individual brokers who closed the highest transaction volumes in commercial property sales or leases in 2017 in their regional markets. All awards are based on transaction data obtained from CoStar’s largest independently researched online database of commercial real estate property information. Posavec was named one of the top commercial office leasing brokers in the Philadelphia region. To qualify for this achievement, a broker’s overall transaction volumes were calculated against other broker’s volumes in their region. To access a complete list of 2017 CoStar Power Broker™ Award winners please click here. CoStar Group, Inc. is the leading provider of commercial real estate information, analytics and online marketplaces. Founded in 1987, CoStar conducts expansive, ongoing research to produce and maintain the largest and most comprehensive database of commercial real estate information. Headquartered in Washington, DC, CoStar maintains offices throughout the U.S., in Europe and in Toronto, Canada with a staff of over 2,400 worldwide, including the industry’s largest professional research organization. For more information, visit www.costargroup.com. Landmark Commercial Realty Inc., established in 1988, is a full-service commercial/industrial brokerage firm headquartered in Harrisburg, Pennsylvania with a focus on the South Central Pennsylvania region. Serving more than 200 markets globally, Landmark is a member of TCN Worldwide with more than 1500 brokers and salespeople. For more information, click here.